- Publication for accepted paper : Immediately online publish after completing the publication process by the corresponding author. The review process consists of 5 steps and 2nd and 3rd steps are most important. 2nd step is a pre-screening process managed by one reviewer and 3rd step is a formal review process accomplished by another formal reviewers. Accepted papers will be published after the final decision of Editor-in-Chief. All submitted papers will be reviewed in 3-7 weeks. This journal employs a double blind reviewing, where both the referee and author remain anonymous throughout the process. 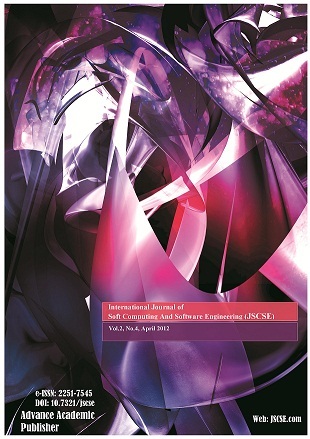 Every paper submitted to JSCSE will be reviewed by at least two reviewers. Moreover the papers submitted will be checked for linguistic consistency by native speaker. The level of written English of submitted papers will be ranked between 1-5 where 1 is for paper with excellent English and 5 is for paper whose English is subjected to major revision. Top 3 levels will be considered for acceptance. The lower levels will be proposed for revision and could be conditionally accepted. Thematic review will decide whether to accept or reject according to the originality, significance for theory and practice, quality of content and presentation of submitted paper.